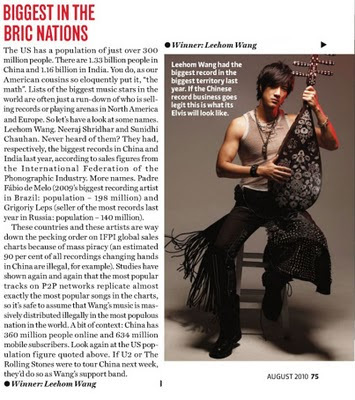 According to IFPI (International Federation of the Phonographic Industry) data that has been released recently by WORD Magazine, Leehom is number one in album sales in China with total 13.000 copies, beats Jay Chou who has been in that position for 6 years in a row. However, if Google translated it correctly for me, during those 6 years, the highest selling record of Jay was 2.700 copies in 2002. I think it's a bit weird, coz 2.700 copies doesn't sound like a good sales for a singer as big as Jay. But then, when it comes to Pirated Issue, isn't that China the worst?? 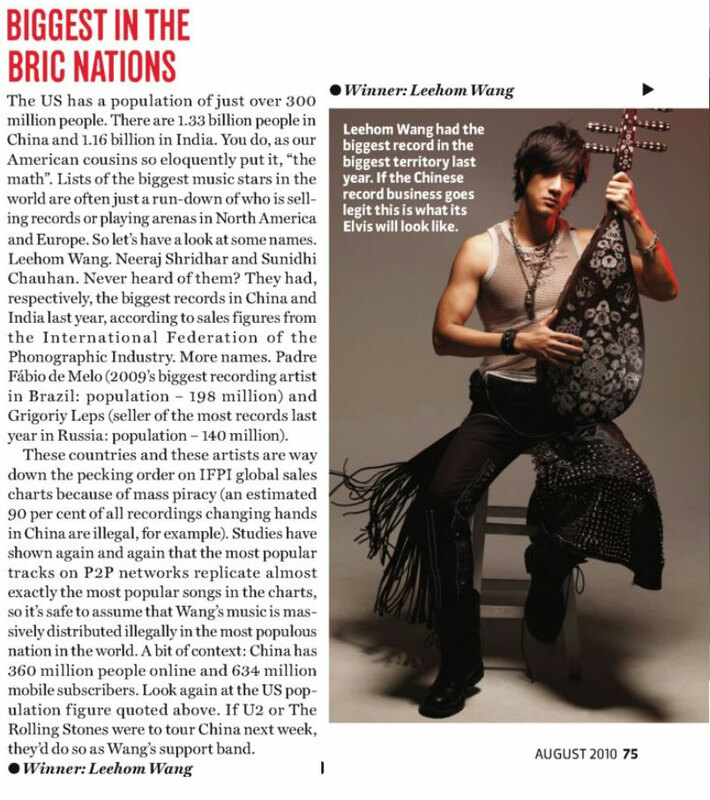 WORD said Leehom is the only Chinese artist with the highest selling album and almost as close as Elvis's in China. 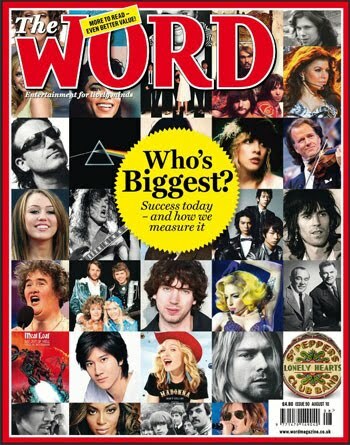 And for that, WORD put Leehom's picture on the cover together with other legends. 13 millions copies??!! WOW!! And was that in China only? I wonder it could have been a BILLION if pirated ones were counted. Lol. The article said: "if U2 or The Rolling Stones were to tour China next week , they do so as Wang's support band"
I remember last year when there was a saliva war between Leehom's record company with Show Luo. SonyMusic (Leehom's) said that Luo's company have bought the music chart to fix the sales record with following result : Show at 32.32% of sales and Leehom coming in at only 12.82%. So, with the released data from IFPI, does it mean that it's true? I don't know and I don't wanna know. All I care about is that I'm so happy that the news came in the very right time. It will help Leehom promotes his new album and his new movie... I hope. Congratulations Mr. Wang Leehom. I'm so proud of you!